Sometimes, I don't blog about revisits. Shocking I know. Imagine that, I actually enjoy a meal without bringing my camera or notepad. Feels a bit strange to tell you the truth - like I forgot to put on my clothes or something. Hmm... Okay maybe not that bad... 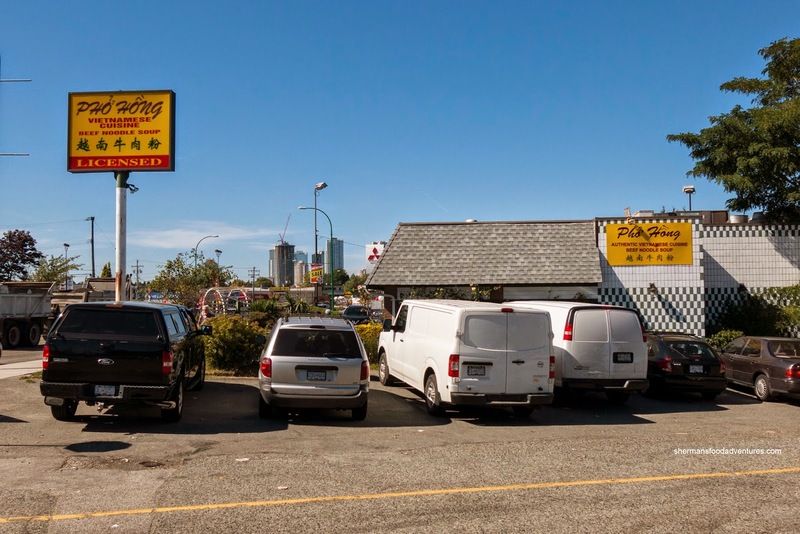 So Viv and I have been back to Pho Hong on several locations after I first blogged about it 5 years ago, but never felt the need to do a return post. Well, I did bring my camera this time around, so hey I decided to pull it out. I felt fully-clothed again! Yay! 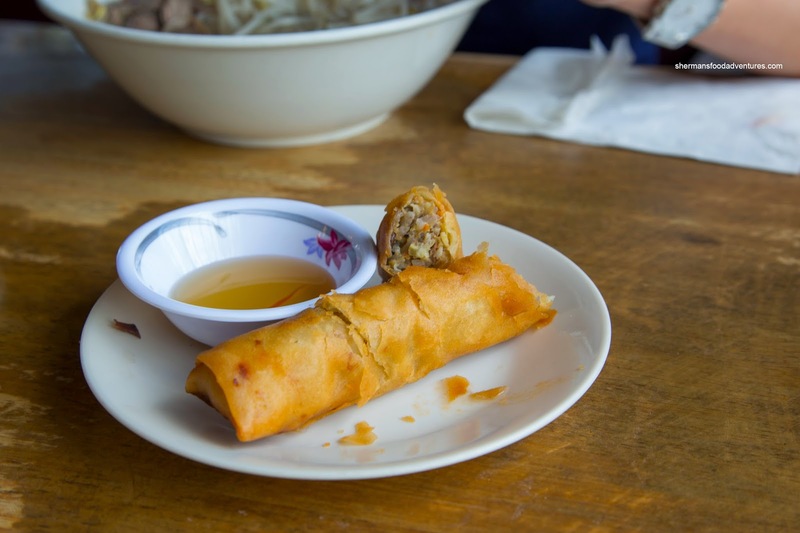 As part of their combo special, we got a Spring Roll to start. It was not bad despite the use of a wheat wrapper. The meat was a touch dry though, but there was decent flavour to be had. It was crunchy and not overly greasy. Viv's Pho Dac Biet was a really large portion with a whack load of noodles and nearly an equal amount of meat to match. And about that meat, it was sliced thin where it was easy to eat. However, the broth had a boatload of MSG where the flavour was really intense. It was unnaturally sweet where any natural flavours were lost. As for my Bun Bo Hue, the MSG was also quite prevalent. I did pick out lemongrass as well as a considerable amount of chili oil. It didn't really taste a whole lot like a Bun Bo Hue though. Again, there was plenty of noodles and meat, yet no pork knuckle or blood. 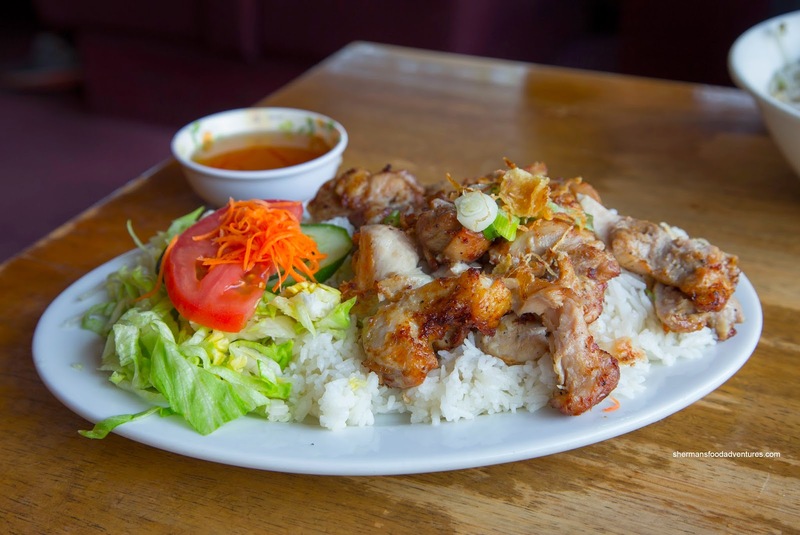 Obviously deep-fried, the Lemongrass Chicken on Rice was uniformly browned. Hence, it was a little crispy and plenty greasy. The chicken was relatively moist while being aggressively seasoned. So this revisit made one thing abundantly clear - the food at Pho Hong is more about quantity rather than quality. The food wasn't bad per se, but the shortcuts taken and the reliance on MSG diminished our enjoyment despite the inherent value. I had a good chuckle over the feeling about not being clothed when you don't bring your camera lol! I feel the same way LOL...now that I'm a blogger it just doesn't feel "right" when I don't bring my camera! We use to go to Pho Hong alot, it's my dad's fav pho place, but like you said, their usage of msg is very apparent. 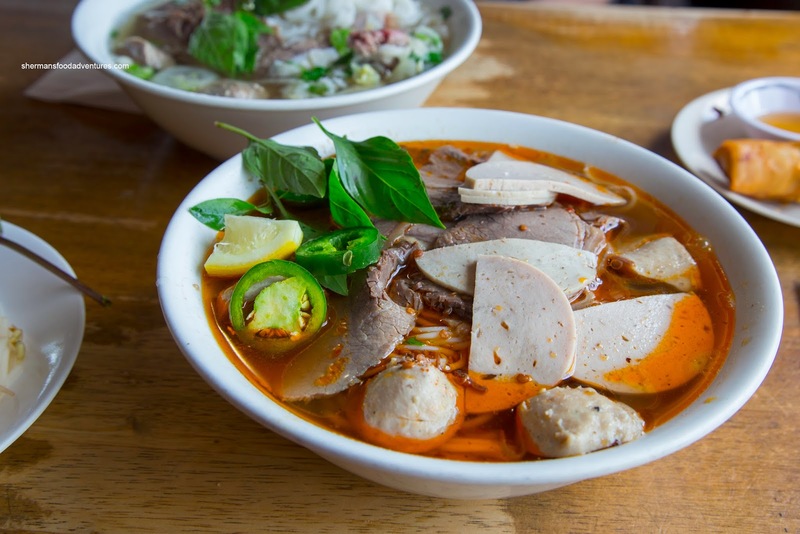 #1)"However, the broth had a boatload of MSG where the flavour was really intense. It was unnaturally sweet where any natural flavours were lost." 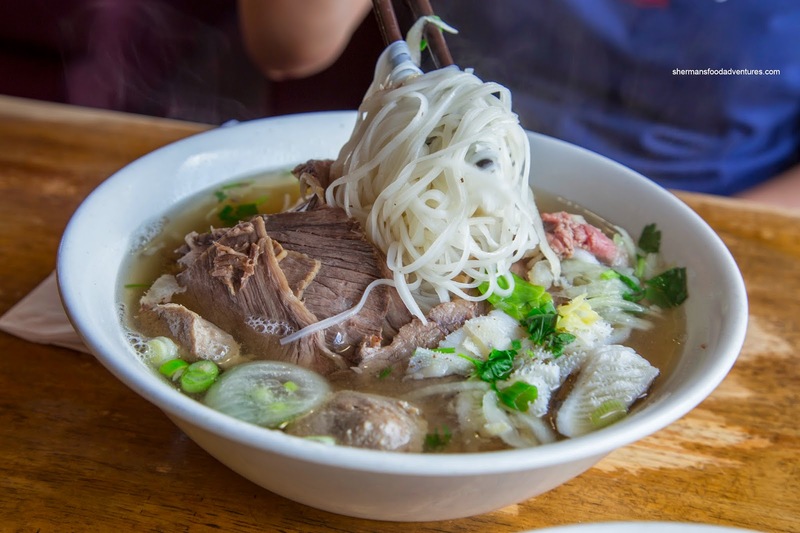 - Have you ever made Pho noodle soup before to know what the difference is between a bowl of soup that has a lot of msg and not so much? What about where the actual sweetness some from?